In addition to the conference, we host a trade show where exhibitors can talk directly with owners, sales and marketing staff, winemakers and grape growers, about their latest products and services. More than 400 people attend B.E.V. 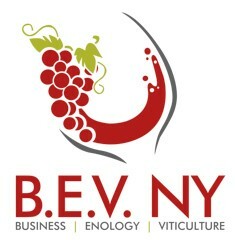 NY each year, so if you want to reach the growers, winemakers and business leaders in the dynamic and expanding grape and wine industry of the Finger Lakes and New York, there is no better place to be than at B.E.V. NY! Information about the trade show and various conference sponsorships is available below. Be sure to visit the B.E.V. NY website for information about the conference program, trade show, and registration information.